The state of Mizoram is located in North East zone of India. Mizoram RTO is established for enforcement of Motor Act 1988 majorly. It plays many other vital functions as well. Some of the quintessential function it performs is ensuring road safety. Other key activities are registration of vehicles and issuing of the driving license. Out of all the mandatory documents driving license is one of the most important. It's a punishable offense to drive without a valid license. That is the reason whenever someone violates the traffic rule first thing Traffic police ask is for the driving license. As soon as someone learns driving they must get their license. At initial stage, learning license is issued after that valid driving license is granted. In order to get the license, we need to follow some process. Once we are able to do the needful than we can get our license without any delay. Since this is one of the essential steps we must be familiar with the entire procedure. It has been elaborated below. How To Get The Driving License From Mizoram RTO? Mizoram RTO strictly operates as per the guidelines of Motor Act. Its headed by the Transport commissioner. 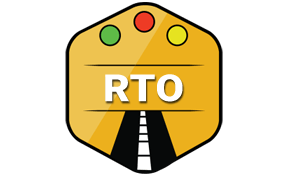 In order to get the driving license, we must take appointment with the concerned RTO. We should be available there at least 1 hour before the appointment. Among other things, we are required to carry a few documents as follows. Valid Address Proof - It should be any government approved document such as Aadhar Card, Passport, election card , or any other valid address proof. Government ID proof - It can consist of anything like pan card copy, birth certificate or 10th class marksheet. Duly filled application form - The required form can either be downloaded online or can be taken from Mizoram RTO directly. Passport size photo- In case of learning license 6 passport photos are required, for driving license 1 passport photo is enough. Medical Test- For people above 40 years medical test is a must. After keeping all these documents ready we must be ready to visit the RTO on the scheduled date. The license is issued after a few steps. Documents are thoroughly verified and driving test is conducted both practically as well as theoretical. If all details are valid and we clear the test then we can get the license on the same day. It can also get delivered to our registered address in case its not issued on the same day. Mizoram RTO ensures all the vehicles running on the road adheres to the traffic rules. Besides that, it helps all the drivers and vehicles owners in the following ways. Mizoram RTO can be easily contacted at the address mentioned below.